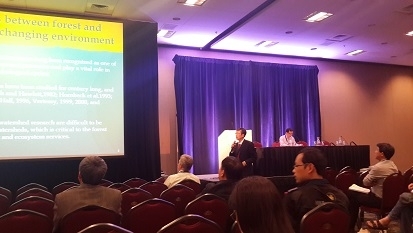 The 24th World Congress of the International Union of Forestry Research Organization (IUFRO) was launched in Salt Lake City, Utah, U.S. during October 5-11, 2014. International Center for Bamboo and Rattan (ICBR) sent a delegation of five members to participate in this gala, and co-organized a side-event titled “sustainable bamboo and rattan resources” with the International Network for Bamboo and Rattan (INBAR) and an INBAR/ICBR presentation conference. On behalf of IUFRO, Research Fellow Liu Shirong, Secretary-General of Communist Party of China (CPC) Committee of ICBR, Vice President of China Forestry Academy (CFA) issued awards both at the opening and closing ceremonies of the Congress such as IUFRO Scientific Achievement Award, IUFRO Outstanding Doctoral Research Award, IUFRO Forest Science Award for Talented Students, Best Poster Award, etc. Moreover, he launched a side event entitled “Experience Sharing of Laureates of IUFRO Outstanding Doctoral Research Award” and a sub conference named “Forest, Water and Humanity”. Besides, he also delivered a magnificent academic report titled “Relations between forest and water under a changing environment: the worldwide evidences on different spatial scales”. 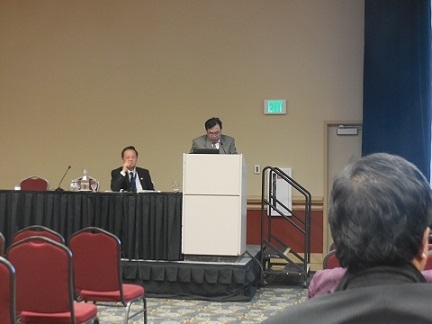 Mr. Li Fengbo, Deputy Director General of ICBR, delivered opening remarks in the INBAR/ICBR presentation conference, expressing that ICBR was honored to cooperate with others to realize sustainability of global bamboo and rattan resources. Research Fellow Yu Yan, Associate Research Fellow Li Zhiqiang, Assistant Research Fellow Xun Hang briefed respectively about ICBR’s research in preparing bamboo-based nanocellulose materials, bio-energy conversion technology of bamboo, extraction and utilization of active ingredients in bamboo leaves in recent years, which attracted wide attention of the attendees. 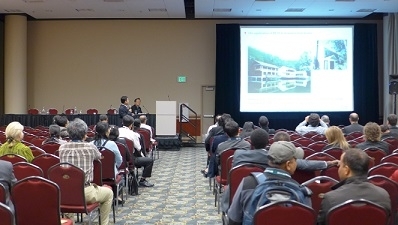 This World Congress established 19 sub-conference venues, 168 technological venues, respectively over 1200 oral presentations and posters with more than 2,400 participants. 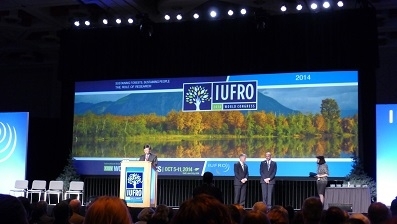 IUFRO, a non-governmental international organization, unites more than 15,000 scientists in almost 700 Member Organizations in over 110 countries. Established during 1890-1892, its mission is to promote global cooperation in forest-related research and to enhance the understanding of the ecological, economic and social aspects of forests and trees; as well as to disseminate scientific knowledge to contribute to forest policy and forest management. IUFRO currently consists of nine divisions, including forest environment and silviculture, forest operations engineering and management, forest products, etc. There are also special programs under task forces which are under divisions. International Council of IUFRO is the highest governing body, constituted by President, Vice President, Immediate Past President, Executive Director, Coordinator Division and regional representatives. 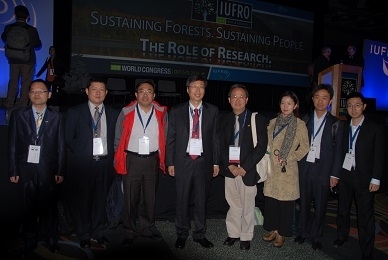 Research Fellow Liu Shirong was representative for Asia-Pacific region for the last International Council and re-elected as a member of the International Council of IUFRO in this Congress.